If you crave sugar, carbs, processed foods, or struggle with emotional eating, binge eating, or food addiction this post has all of my top tips that stop cravings quickly. Long before I knew anything about nutrition, fitness, health, or how to help others I struggled with carbs, sugar cravings was a full blown food addict. I personally know what it’s like to struggle. I professionally know how to stop sugar and carb cravings. LEFT: Me personally struggling with cravings. RIGHT: Me professionally in complete control over food, off sugar, and without any cravings. 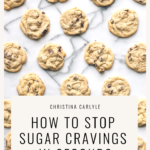 I know what really works and that’s why I’m sharing ALL of my top tips to help you stop struggling and start overcoming your cravings, too. 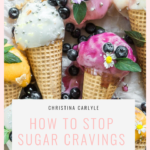 If you have random sugar cravings, if you have intense sugar or carbs cravings, or if you flat out feel addicted to processed junk foods crave food all the time, this post covers all of the above. NOTE: If you crave something specific, like pickles for example, that can indicate a nutrient deficiency. These tips won’t help resolve cravings caused by nutrient deficiencies. 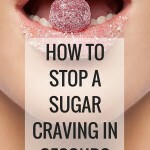 The tips in this post stop sugar and carb cravings, specifically and exclusively. Everything I’m about to share works, if you work it. 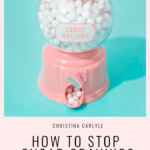 I’m going to start with the best tips that stop cravings, first, then I’m going to add on more tips, tricks, suggestions, and supplements proven to stop cravings, too. Start with the first tip, then work your way down. Please watch the video/read this entire post. It has everything you need to stop all cravings for sugar and carbs. Green Beans – Weird right?? Keep reading! NOTE: This is going to sound weird… but hear me out. 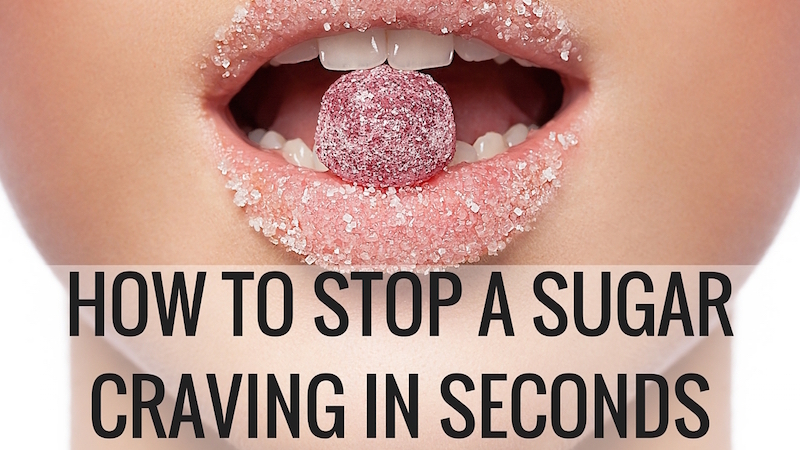 This one weird trick helps stop sugar cravings quickly. If you’re craving sugar eat green beans! 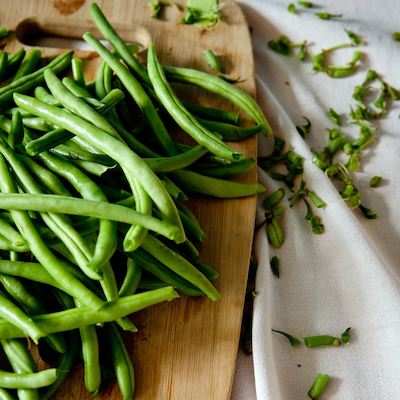 Green beans can help stop sugar cravings (almost) instantly. There’s a phytochemical in green beans that helps stop cravings. Weird right? Totally random, I know. I remember hearing that for the first time from a lady in a health food store. At the time I was a full blown food addict was addicted to sugar and carbs. I went to the health food store for help. And I got it. A holistic, hippie-looking lady approached me. I told her I was addicted to carbs, sugar, and processed foods and asked for a supplement to stop my cravings. Me: Silent, staring at her with a blank stare. I was standing there thinking there’s no way green beans will stop MY cravings. I was literally a food addict and struggled forever. I was desperate for help but confused by her suggestion. Me: “Yeah.” They were actually one of the few vegetable I did like at the time. 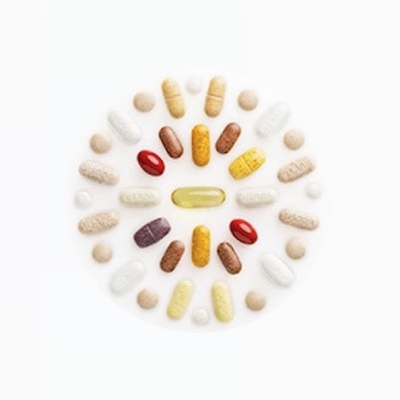 She handed me the supplements (see below). I thanked her. I walked over to the canned goods section and bought a basket full of green beans. Later that night, a craving hit and I found myself walking to the pantry, per usual. As I was eating them I was thinking they wouldn’t work. But after about a minute I had NO CRAVINGS FOR SUGAR OR CARBS. None. One teeny tiny can of green beans stopped my sugar cravings in seconds, just like the lady said they would. My jaw was on the floor. Normally I could eat literally bags, boxes, cartons, of carbs. I’d eat and eat and eat until the point where I was stuffed and felt gross. But this single small can of green beans stopped me from feeling like I needed more food, my cravings were gone, and my desire to eat was gone, too. For the first time in a long time I had control over my food cravings. This was also the first time I realized food wasn’t just food… Food is information that communicates to the body and mind. This single experience inspired my career and my obsession with learning how to eat to influence my body. 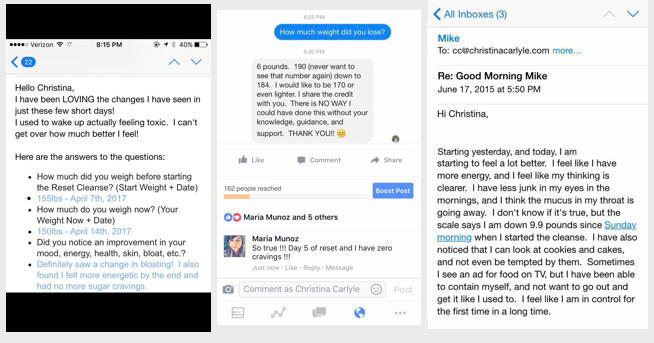 This is how I get people such incredible results. If I could go back in time and thank that lady I would. This was approximately 14 years ago… and I’ve been using it ever since. Green beans stopped my cravings. Green beans stop their cravings, too! I have no idea what phytochemical in green beans works so well (there are 72 total). So I honestly cannot say why green beans work so well to stop sugar and carb cravings. I just know that they do work. Green beans have fiber (fiber tells your brain full) but SO many other foods have fiber, and they don’t work as well as green beans. Nothing stops a cravings as well as green beans do. Not just for me, either. Green beans have helped literally hundreds of my client’s stop cravings, too. All of my tips work, if you work them. That’s why I’m sharing them with you! The next time you’re craving sugar, eat green beans to stop your sugar cravings in seconds. #1 BEST: Fresh, Raw Green Beans are the best choice for stopping cravings. Fresh beans have the most nutrients. TIP: If your cravings are strong wash and prep green beans first. That way when a craving hits, you can eat them and don’t have to worry about preparing them. NOTE: If you struggle with carbs and sugar cravings you won’t like the taste at first. Eat them anyway or use canned green beans to stop your cravings instead. Frozen green beans work well for random, less intense cravings. You don’t have to worry about prepping them. TIP: Keep some frozen green beans in your freezer. When a craving strikes, microwave a cup of beans with a few tablespoons of water until they’re done. If you’re a sugar addict or emotional eater trying to curb sugar cravings… canned green beans are a great tool to help break your sugar addiction and stop strong cravings quickly. As a former sugar addict, I know(!!) sometimes you just can’t wait to thaw, cook or prep fresh or frozen beans. If you’re addicted to sugar or have intense cravings, popping the top of canned green beans is a great way to help break your addiction. TIP: I recommend getting a few cans green or french green beans and keeping a stash at home. HOW MUCH DO I NEED TO EAT TO STOP MY CRAVINGS? As much as you want until your cravings go away. Green beans are low in calories and high in fiber and nutrients so don’t worry about how much you eat. Just eat them and stop when you’re satisfied. WILL GREEN BEANS STOP MY CRAVINGS FROM COMING BACK? Sugar and carbs are addictive. They’re 8 times more addictive than hard drugs. If you’re in a habit of eating carbs green beans won’t ‘cure’ you. If you eat green beans and continue to eat carbs and sugar, you will continue to experience cravings. The more carbs and sugar you consume, the more cravings you’ll have. You can use green beans to stop cravings. But only avoid carbs and sugar stops cravings from coming back. NOTE: If you use green beans (and other tips) and continue to eat carbs, sugar, and processed foods your body will adapt and the tips become less and less effective. Green beans work best for ‘light’ less intense sugar and carb cravings. If you crave sugar and carbs swap in fruits and vegetables instead. Fruits and vegetables have fiber. Fiber helps tell the brain “I’m full.” High fiber food have carbs and help buffer cravings. Quitting cold turkey can make you feel nuts and can set you up for binge eating. Yes, fruit has fructose. Fructose is fruit sugar. Fruit also has fiber and other phytochemicals and nutrients that help the body process the fructose. TIP: Do not drink juice. Juice has sugar and no fiber. Juice causes sugar cravings and is not ideal for health or weight loss! Vegetable juice is ok! Fruit juice is not! For other carb cravings swap in anything else that’s organic and contains fiber and zero added sugars. Protein is also important for stopping cravings. Protein helps stabilize blood sugar levels and stop hunger and cravings for carbs. There are 5 main ‘tastes’. They are sweet, sour, bitter, salty and umami (aka savory). Sour, bitter tastes help reprogram tastes for sweet things. Sour and bitter tastes serve as a “warning.” The body perceives acidity or bitter tastes as a potential toxin. 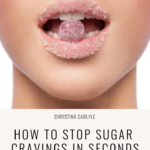 There is a ton of research showing that sour tastes can block the receptors in the brain responsible for causing cravings for simple sugars and carbs. This is part of the reason why Apple Cider Vinegar is trending. ACV is bitter and can stop cravings. But ACV tastes nasty and can cause heartburn in people with acidity issues. That’s why I recommend lemon water. That’s also part of the reason I created my Lemon Water Challenge. Take on my Lemon Water Challenge. It’s seriously the easiest detox you’ll ever do and helps stop sugar cravings. Squeeze fresh lemon juice on your meals to add fresh flavor and reduce cravings. Ask for extra lemon when you order at restaurants. 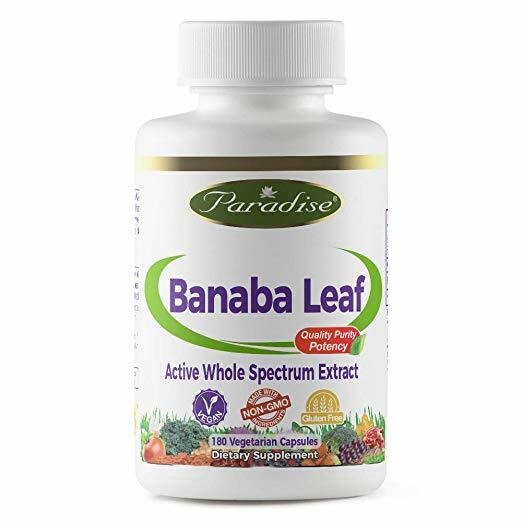 Banaba leaf supplements will help stop sugar cravings, too but because they’re encapsulated they take a little longer to take effect than green beans do. Banaba is pronounced just like banana… but with a ‘b’ bah-nah-nah. I used to carry banaba on trips and when I’m hormonal… in case my inner cookie monster manifested. Banaba is a little known natural way to stop sugar cravings and not too many people know about it. A lot of people think it’s only good for balancing blood sugar (and it is) but it’s also good for sugar cravings. I recommend Paradise Herbs Banaba Leaf on Amazon. This is the exact same banaba leaf I used that worked for me. This is what the bottle looks like. You may be able to find banaba leaf at your local health food store. I can’t… I only have one time. You 100% can think yourself into (and out of) cravings. Sugar (and simple carbs) is 8 times more addictive that narcotic drugs like crack cocaine and heroin. Sugar creates habits. Habits are reinforced physically and mentally/emotionally. I remember thinking I should want more sugar after using green beans… when I physically didn’t. I thought I would need more food… but I wasn’t hungry or craving anymore. I had to tell myself no, you don’t need more… and then stay the heck away from more sugar. If you keep eating sugar, you’ll keep cravings it. If you try these tips – and think they won’t work – they won’t. 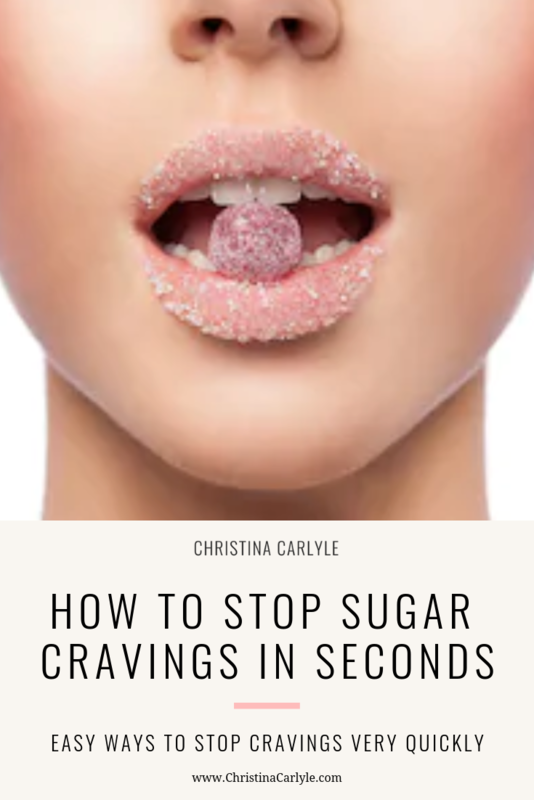 If you think you can’t stop cravings, if you think these tips won’t work, and/or if you don’t want to try these tips that’s a HUGE SIGN you’re physically dependent on sugar. It works, if you work it! Work it, YOU’RE worth it! If you try these tips, please leave me a comment to let me know what helped you stop your cravings the most! I love hearing what you think and what works for you. If you think this post could help someone you know, please share it. If you feel like you can’t control your cravings, or if you’re already aware that you’re an emotional eater, a binge eaters, or a food addict (like I was) I have specific posts geared towards those topics. If you don’t know if you’re a binge eater or emotional eater check out this post Am I addicted to food? What brand of Banaba Leaf tablets do you use? I started banaba leaf before I read your article. A friend of mine asked me about the banaba leaf and was it doing anything. I told her that the one thing was I was not craving sugar. She said that’s all in your head. I shared your article with her as confirmation. Hi Christina, thank u for the tip , what about snow peas ? Snow peas will work… but not as well as green beans. But literally, anything plant-based, has fiber and nutrients and is a much better than junk. So if cravings strike and all you have are veggies, chose those – or ice water – over and above carb-age. Just ordered my Banaba. I can’t wait to try it. Something has to help me. When I lost my 16 yr old daughter to Bacterial Meningitis, a few months later, I started thinking if I hurt, then I should be able to eat whatever I feel like. That was almost 10 years ago. All together I gained almost 50 lbs. now at 57, it is very hard to lose. Thanks and will keep ya posted. It’s a good thing you have other options 😉 But do you want to change/get off sugar? If not, that’s ok… you have to be ready to give up sugar. (See #5) But the longer you wait to change the harder it’ll become to stop because the habit will be reinforced more. Food for thought.